Built for power and performance. Find the exact hydraulic motor you need to improve the efficiency and performance of your application from the world’s leading brands from Hytec South Africa. We supply and service a complete range of radial piston, axial piston and low-speed high-torque motors for mobile and stationary equipment from Bosch Rexroth, Hägglunds, Italgroup and M+S Hydraulic. With complete distribution and support across sub-Saharan Africa, Hytec is your end-to-end supplier of hydraulic motors. 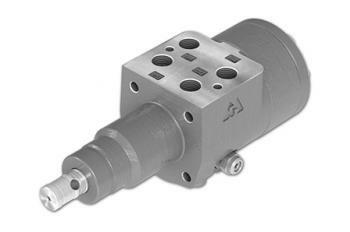 Single, dual and fixed displacement hydraulic motors from Bosch Rexroth and Italgroup. Displacement from 20 to 8 000 cc and torque up to 32 000 Nm. Fixed displacement and variable hydraulic motors, swash plate and bent axis designs for medium- to high-pressure applications in open & closed loop circuits. Hytec supplies a leading range of steering units from Bosch Rexroth for operation at up to 175 bar. 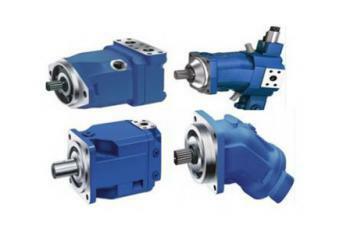 Bosch Rexroth is a leading manufacturer of axial piston, radial piston and external gear motors. Bosch Rexroth motors utilise a compact, robust and economical design, with products characterised by excellent power to weight ratios. Wherever your operation may be, we support your application with rapid distribution and aftersales services for Bosch Rexroth motors in Africa, including full testing and refurbishment. Innovative, customisable products that are testament to the company’s mission of continually enhancing the performance of motor technology: Italgroup is an Italian manufacturer of a wide range of high-quality motors and flow dividers. Bearing the hallmark of proven engineering tested in a wide range of applications, Italgroup radial piston hydraulic motors are an industry favourite in mobile and industrial equipment. M + S Hydraulic manufacture affordable motors without sacrificing quality and performance. Its products bear the highest quality certifications and are an economical solution for low speed high torque hydraulic applications. Our comprehensive stockholding of motors means that we have the solution for every manufacturing, industrial and engineering application! Contact us today for more info on M + S Hydraulic motors. Hägglunds direct drive motors deliver unparalleled quality and reliability. Designed in response to challenges customers from around the world face in improving efficiency, Hägglunds manufactures motors that exceed performance and reliability expectations. The new Hägglunds CAb 10 to 40 radial piston motors provide unmatched power density. The compact motor makes hydraulic direct drives the optimal choice for light and compact applications. Get in touch with our experts for hydraulic motors pricing and additional product information. Hytec South Africa supplies hydraulic motors and systems for equipment and machines in mining; mobile applications; iron and steel processing; automotive and transport; bulk materials handling; marine; general industry; power generation and in construction. Supporting this range of hydraulic motor products is a group of leading specialists and skilled staff who have exceptional product and application know-how, which we use to supply our customers with innovative, efficient and reliable solutions that maximise production and competitiveness. The Bosch Rexroth South Africa Group of Companies consist of 8 specialist companies with a network of 40 branches strategically located near important industrial centres across sub-Saharan Africa. Through this network, we are able to supply, service, repair and maintain our hydraulic motors to ensure maximum uptime and productivity. From this established network, which has been constantly growing since our first branch was established in 1965, we’ve developed a strong understanding of market and industry requirements, and specialise in delivering technology solutions that drive maximum value to our customers’ operations. Enhance your performance with our hydraulic motors! Call us on +27 11 975 9700 or send us an enquiry today!